The February Visa Bulletin has been released by the Department of State. Continuing a recent pattern, every single Family-Based category will advance at least 1 week, with most categories advancing between two weeks and one month. In Employment-Based categories, India EB2 advanced 7 months to September 1, 2005. 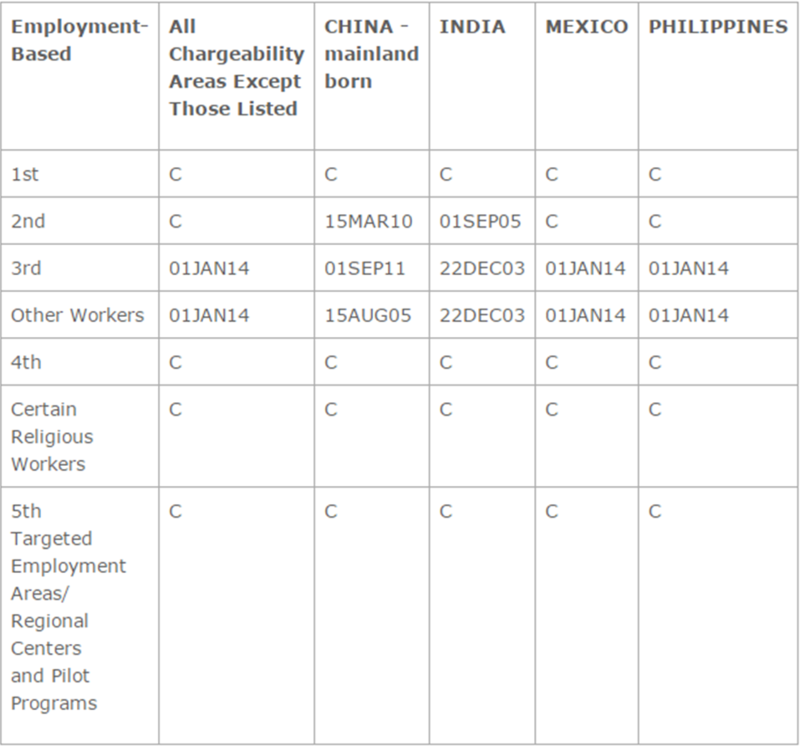 EB3 and “Other Workers” from Mexico, the Philippines, and all other areas except China advanced 7 months respectively. China EB3 advanced 6 months while, China EB2 and “Other Workers” advanced 6 weeks and 4 weeks each. In the coming months, the Department of State anticipates rapid forward movement in China EB3. India EB2 is also predicted to advance between 4 and 6 months.